I am delighted to announce that Seating Matters has been awarded a brand new contract to be the suppliers of therapeutic seating for VA Hospitals across the United States. It is an absolute honor for Seating Matters to provide the best possible seating to enhance the lives of those Veterans who have risked their lives to serve their country. Being recognized by the federal government of Washington D.C is testament to the team of clinicians, designers and engineers. They ensure that the Seating Matters chairs are world leading in improving the quality of life for those with seating needs. Every day I hear and see how our chairs are improving people’s lives. No longer will our Veterans have to sacrifice comfort for postural stability or pressure management. It will be a real pleasure to now be the provider of specialized seating for Veterans who have risked their lives or sustained a service connected injury to serve their nation. In one particular Veteran Hospital I visited, a very poignant message was dispalyed on the wall. It read, "A Veteran, whether active duty, retired, or national guard or reserve, is someone who, at one point in their life, wrote a blank check made payable to 'The United States of America', for an amount of 'up to and including THEIR LIFE." This has stayed with me. It emphasizes that any man or woman who serves their country is doing so whilst jeopardizing their lives and for that they deserve only the best care. So much time is investing into designing a range of clinical seating that caters for the more basic to the most complex of seating needs. 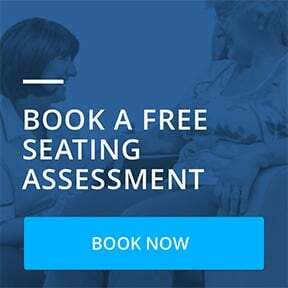 Being the only clinically trialled chairs in the world with supporting clinical evidence, I have every confidence in knowing that no matter what the seating needs of each Veteran are, they will get the best comfort and postural support required. It is important for me to know that every Veteran who is to receive a chair, will feel safe and comfortable. Seating Matters were chosen after a rigorous selection process. The specialized seats were highly commended for their supporting clinical evidence and attention to detail for their design and manufacture, something that we at Seating Matters pride ourselves on. What Next if a Chair Is Required? Community Based Outpatient Clinic (CBOC). Homes Based Primary Care (HBPC). In addition, we provide assessments to veterans living at home or in the community. Please contact us so we can introduce you to the Seating Specialist in your area, who will be happy to help. 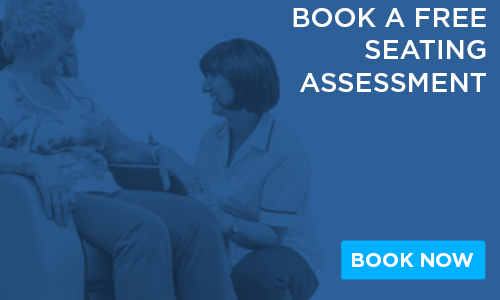 Book a complimentary assessment today to help guarantee the best possible care. President Lincoln once made a promise; "To care for him who shall have borne the battle, and for his widow, and his orphan". I believe that Seating Matters chairs can improve the lives of men and women across the continent. I am really looking forward to delivering our chairs to the Veterans in the first VA Hospital next month and is a real pleasure knowing we are helping our heroes.